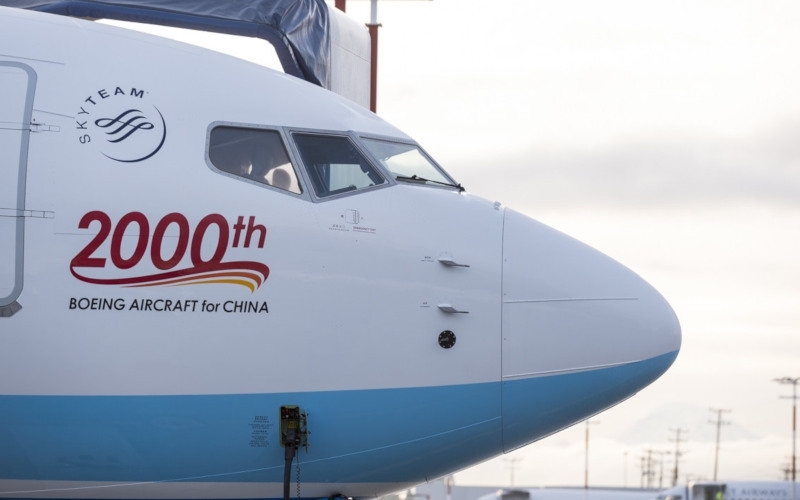 The Boeing Company on November 30 in Seattle completed delivery of a 737 MAX8 to Xiamen Airlines, which also marked the 2,000th Boeing aircraft destined for China’s civil aviation sector. With the delivery of this plane, Xiamen Airlines’ fleet now consists of 210 aircraft and it becomes the largest all-Boeing fleet in China. Boeing has been working with China’s civil aviation sector for more than 40 years. In 1972, commercial airlines operating within the country placed their first order for 10 Boeing 707s. Xiamen Airlines explains China’s civil aviation has become one of the country’s fastest-growing industries. In 1978, Chinese airlines transported 2.3 million passengers. In 2017, the sector served 550 million passengers, 239 times the amount served in 1978 and representing 29 per cent of the country’s total for all forms of mass transportation. Xiamen Airlines itself was founded in 1984 as the first Chinese carrier to adopt what it describes as a market-oriented management model. The company states it has maintained the longest profit record in China’s civil aviation sector, operating in the black for 31 consecutive years. After 34 years of growth, Xiamen Airlines is now the fifth largest aviation group in China. Along this path, Xiamen explains it has worked closely with Boeing from the introduction of 737-200s and 737-300s in the 1980s, 757-200 in the 1990s, to the 737NG series just after the start of the new millennium, and followed more recently by the new 787 Dreamliner and 737 MAX.